Harvest time. 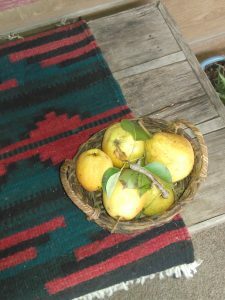 In the general store I found a box of local pears, I think it is the Gring family that has the pear trees and I don’t know how they got a crop since we had about three months of drought. They are excellent, so unlike the generic pears you buy in grocery stores. And the cotton harvest is in. 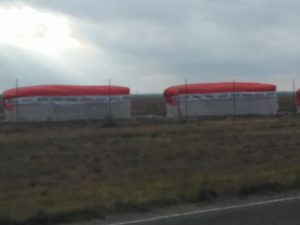 Those are called ‘loaves’ and they are big as mobile homes. Big as freight train cars. 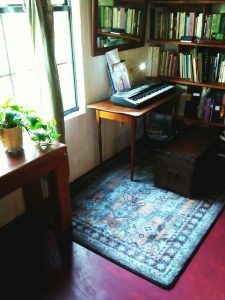 And I got a new rug which demarcates the “music room” in one corner of my little doll house. Am working out ‘Believe Me If All Those Endearing Young Charms” on whistle, Kim Donoho suggested it, she’s got it on guitar and asked me to learn it. Also known as “My Lodging’s On The Cold Ground”. 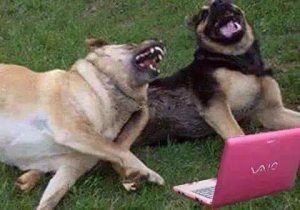 And just to round off this blog post here is a picture of dogs laughing at cat videos.